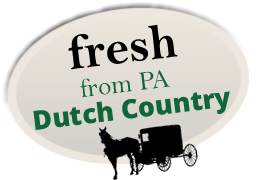 Sign up to our newsletter to stay informed about sales, special events and new features at the Laurel Dutch Country Farmers Market. Stop in and Check out this Weeks Specials!! While you are here, be sure to stock up on our delicious Chocolate Candies, Fresh Fudge, Assorted Candies, Trail Mixes and More!! Easter Baked Goods in Stock...Cross Cakes, Bunny Cakes, Egg Cakes, Sandtarts, Donuts, Cupcakes and More....Come in and check us out!! Stop by and Check Out our Large Variety of Specialty Pretzels and Pretzel Logs including: Ham n' Cheese, Sausage, Egg and Cheese, Pepperoni Logs, Steak and Cheese Logs and More... and don't forget about our Pretzel Sticks and Cinnamon Sugar Pretzel Sticks...Great for a little snack! Check out our new Made to Order Sub Counter!!! Now featuring Pastrami Subs with Provolone....and Grab a Root Beer Float while you're there!! We also have Lactose FREE Vanilla Ice Cream in Quarts, and Diabetic Ice Cream in Vanilla, Strawberry and Butter Pecan!! We Have 22 Flavors of Ice Cream to choose from...Try a Cone, Milkshake or a Half Gallon to Take Home!!! Also featuring Hot Sandwiches and Side Dishes!!! Stop in and dine with us today and check out this week's specials!! Large Selection of Fresh Fruits, Vegetables...Satisfy all your Produce Needs in One Place!Order a Fruit or Vegetable Tray for your next party or pick up some Chocolate Covered Strawberries for your loved one! Large Selection of Homemade Potato, Pasta and Seafood Salads... Desserts too! 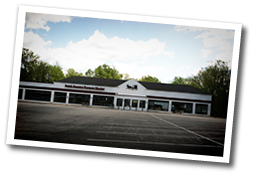 Stop in and check out this week's specials!! !